To read more clearly, click on the picture to enlarge. While being in a human body, you will say and do things that will hurt other people. 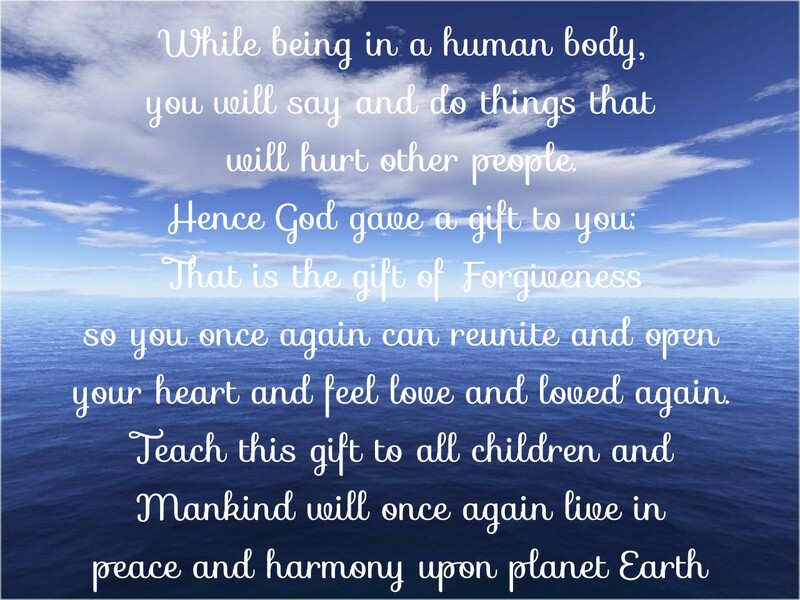 Hence God gave a gift to you: That is the gift of Forgiveness so you once again can reunite and open your heart and feel love and loved again. 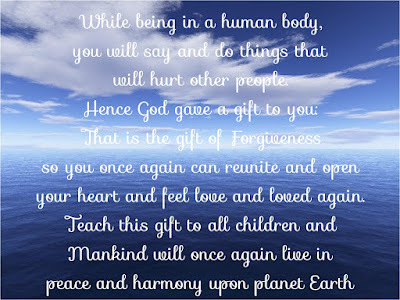 Teach this gift to all children and Mankind will once again live in peace and harmony upon planet Earth.